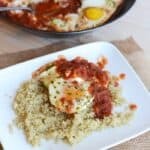 Try this lightened spinach quinoa lasagna casserole for a no-hassle, protein-packed dinner that’s sans gluten and filled with so much flavor! Can we talk about stress for a minute? So…cheers to the almost freakin’ weekend, frands! 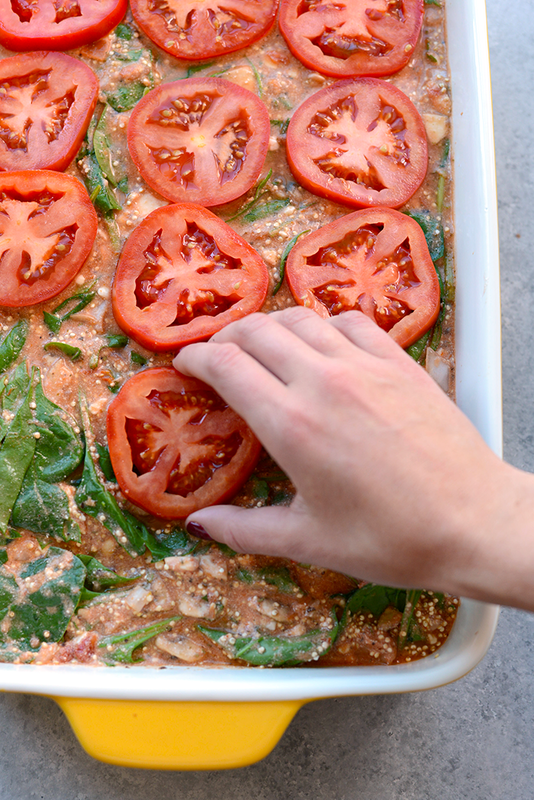 First- let’s talk casserole —> Naked Spinach Quinoa Lasagna Casserole. Why the word naked, you ask? Whelp- we didn’t use any lasagna noodles however we did use all other classic lasagna ingredients such as marinara, ricotta, and mozzarella….hence naked! 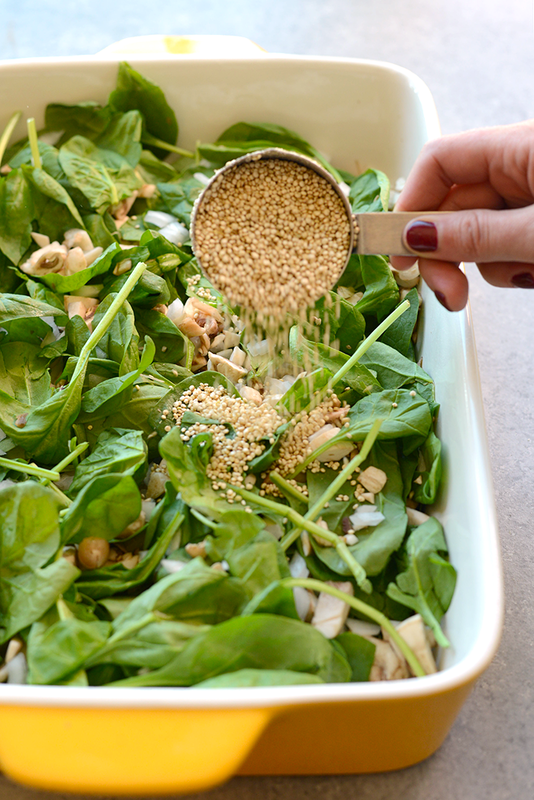 We subbed the noodles for quinoa for a gluten free better-for-you grain…er seed. I can’t say enough good things about truRoots’ quinoa. Once you go sprouted you will never go back…just saying. I truly feel like sprouted quinoa cooks and tastes better. 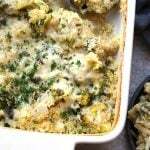 The sauce in this casserole rocks. We lightened up the cheese portion by using part 1% cottage cheese. I went for the full-fat ricotta because the nonfat kind tastes really bad…and that just isn’t the point. My personal opinion. If you don’t mind nonfat ricotta…go for it! 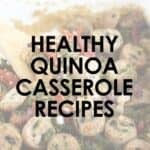 One reason why I love using quinoa in casseroles is because there’s no precooking involved. Ain’t nobody got time to precook quinoa for a casserole…I don’t, anyways. We decided that this casserole serves about 6 HUNGRY people. That’s what we did the nutrition information breakdown for, anyways. Preheat oven to 375ºF and spray your casserole dish with coconut oil cooking spray (be generous!). Next, prep veggies by chopping the mushrooms and finely dicing the onions. Place the veggies (including the spinach) into the greased casserole dish. Next, add truRoots Whole Grain Sprouted Quinoa into the casserole dish. Set aside. In a medium size bowl, mix together all ingredients for the marinara mixture. Add the marinara mixture to the casserole dish. 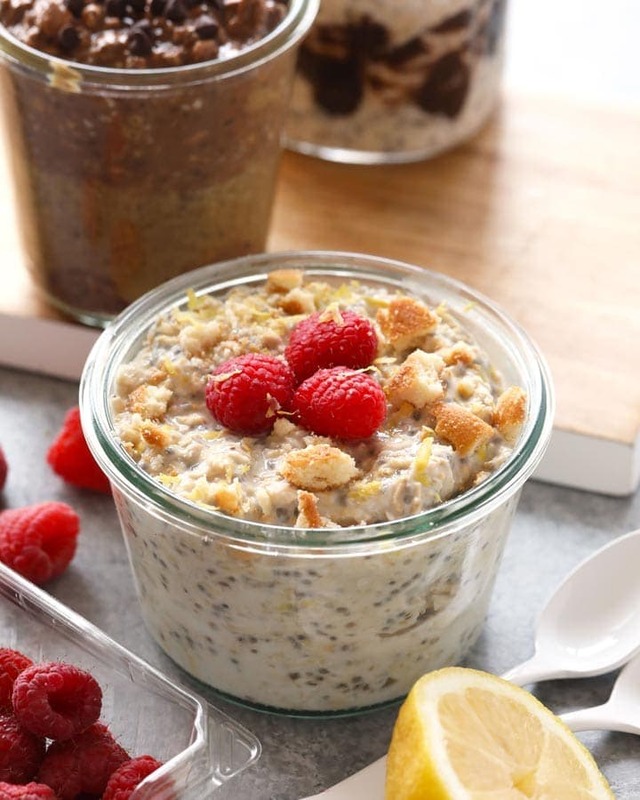 Use a large spoon to mix all ingredients together, making sure everything is (mostly) covered. Cover with tin foil and bake for 30 minutes. Then, remove and stir. It will still be a little soupy, but don’t worry this is how it’s supposed to be! Place back in oven for 30 minutes, covered. Remove, add sliced tomatoes and mozzarella to the top and place it back in the oven for 2 minutes. , for up to 5 days in the refrigerator.
. Place a piece of plastic wrap on top of cooked, cooled casserole and press out all of the air. Then, wrap the entire casserole in tin foil and place in the freezer. Write the name and date of casserole on the tin foil. To reheat, take the frozen casserole out of the freezer and let thaw in the fridge over night. Either reheat single servings of the casserole in the microwave, or reheat the entire thing in the oven. Looking for a specific truRoots product? Use their product finder feature on truRoots.com! Casserole Week 2016 is in partnership with truRoots. I was compensated and all opinions are my own. 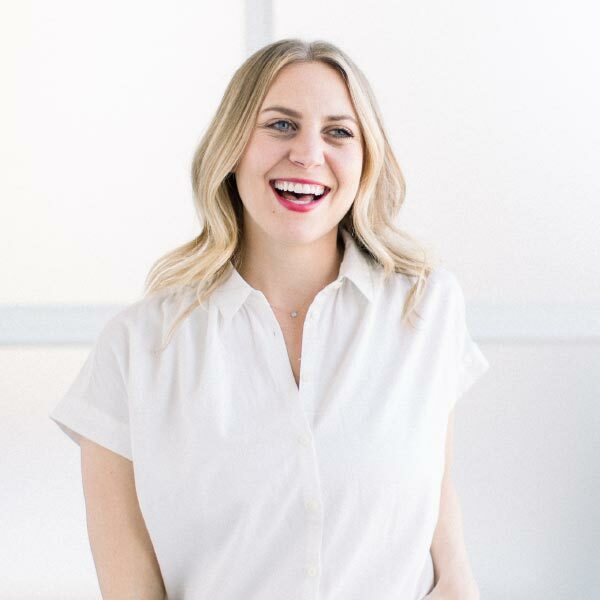 Thank you so much for supporting Fit Foodie Finds and making this website (and my job!) possible! Don’t forget to check out day 1, day 2, day 3, and day 4.